Renato Nazzini focuses on antitrust, regulated sectors, state aid, and European Union law, in particular cartels, abuses of a dominant position, vertical agreements, mergers, litigation, arbitration and ADR. Renato is regularly appointed as arbitrator and advises and represents clients in complex commercial disputes both in arbitration and court proceedings. He is a non-governmental adviser (NGA) to the International Competition Network (ICN). Renato's experience covers various sectors including telecommunications, energy, transport, pharmaceuticals, financial services, manufacturing, IT and digital markets, heavy industries, gaming, consumer goods and retailing. He advised major telecommunications operators on antitrust and regulatory issues relating to network access, broadband internet and licensing, an Italian leading content service provider in relation to telecommunications and consumer protection issues, and digital platforms in relation to antitrust and data protection issues. He advised major Italian and foreign clients on cartel investigations (including one of the first leniency cases in Italy), abuses of dominance, access to infrastructure in the telecoms sector and functional separation and unbundling in the energy sector. In addition, Renato has a busy merger control practice where he regularly provides strategic advice on global deals as well as acting for clients in filings in before the European Commission, in Italy, and in the United Kingdom. 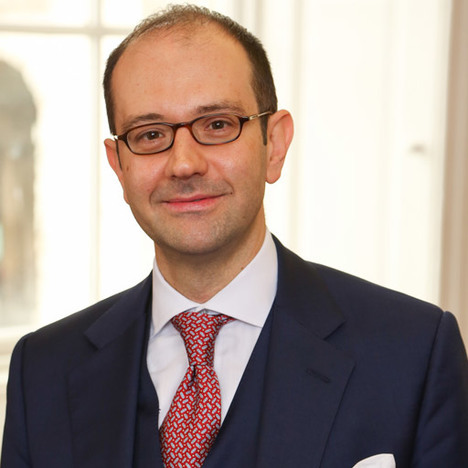 Prior to joining LMS, Renato was Deputy Director of Legal and Policy at the UK Competition Authority where he also worked with a number of European and international institutions including the European Commission, the Organization for Economic Cooperation and Development (OECD) and the International Chamber of Commerce (ICC) and led on major areas of enforcement and policy, including financial services, damages actions and litigation in competition law, and the review of the policy on abuse of dominance under Article 102 TFEU. Renato is Professor of Law at King's College, London. He published more than 60 articles and book chapters on competition law and international commercial arbitration as well as a number of books including Competition Enforcement and Procedure (Oxford, OUP 2016), The Foundations of European Union Competition Law: The Objective and Principles of Article 102 (Oxford, OUP 2011) and Concurrent Proceedings in Competition Law: Procedure, Evidence and Remedies (Oxford, OUP 2004).